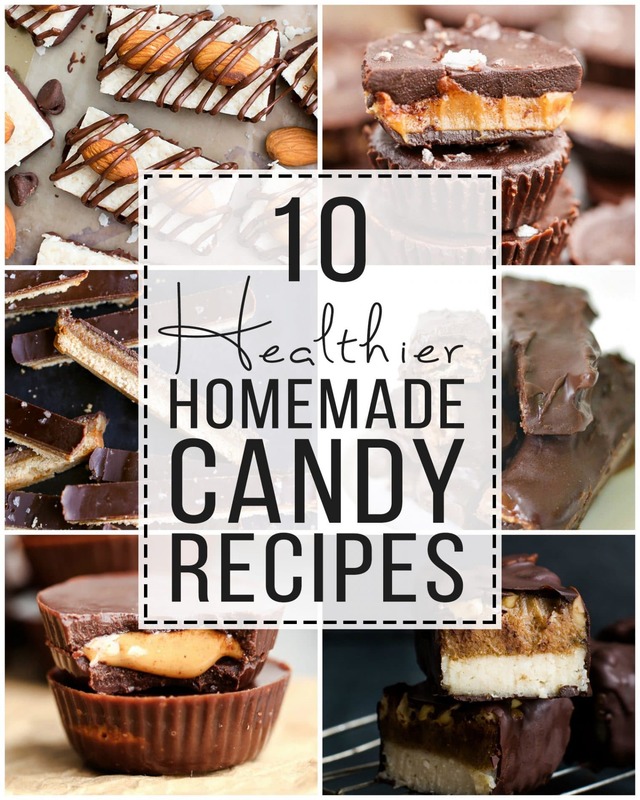 This is a collection of 10 Healthier Homemade Candy Recipes that I love – they’re all gluten free and refined sugar free so you can enjoy your favorite treats more guiltlessly! Happy Halloween, friends! Today, in celebration of all things candy, I’m sharing a post that’s a little bit different than my usual recipe posts – a roundup of ALL my favorite homemade candies! These recipes are all healthier than your typical trick-or-treating fare, so you can enjoy a little more guiltlessly. Most of the recipes are healthier twists on your classic favorites, as well as a couple delectable twists on the classics that I know you’ll love as much as I do! All of these recipes, from both me and my most talented blogger friends, are gluten-free and refined sugar-free! Bonus – most of them are also pretty quick and easy to whip up. You can be enjoying your own candy, refined sugar and preservative free, in a few hours max. Homemade Peanut Butter Cup – let’s start with a classic, and one of my own personal favorites. 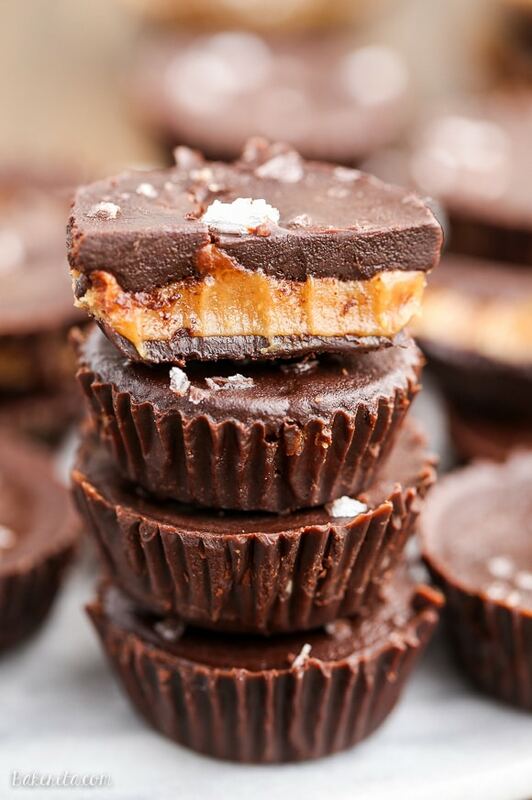 These homemade peanut butter cups only need four ingredients and they come together in a snap! 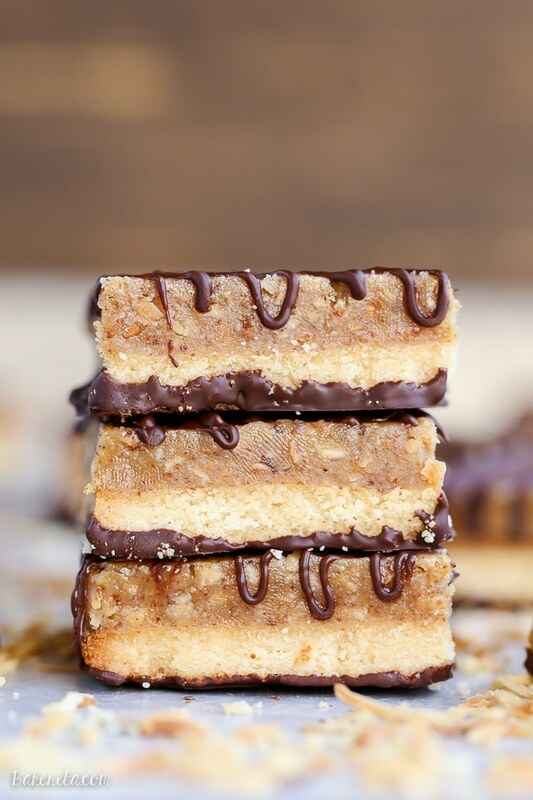 Homemade Twix Bars – this easy, six-ingredient recipe is one of the most popular on my site because it’s so easy to make and so darn delicious! Oh, it’s also gluten-free, Paleo AND vegan. Haven’t tried it yet? No time like the present! Paleo Almond Joy from Beaming Baker – you only need five ingredients to make this easy vegan recipe! If Almond Joys are your pick from the candy bag, this one is for you. Prefer a Mounds Bar? Skip the almonds and dip the whole thing in chocolate! Homemade Samoa Bars – while these aren’t necessary a Halloween treat, I couldn’t resist adding them here because they’re dang good, and they taste like candy  if you’re craving a Girl Scout Cookie, let it be and enjoy these! 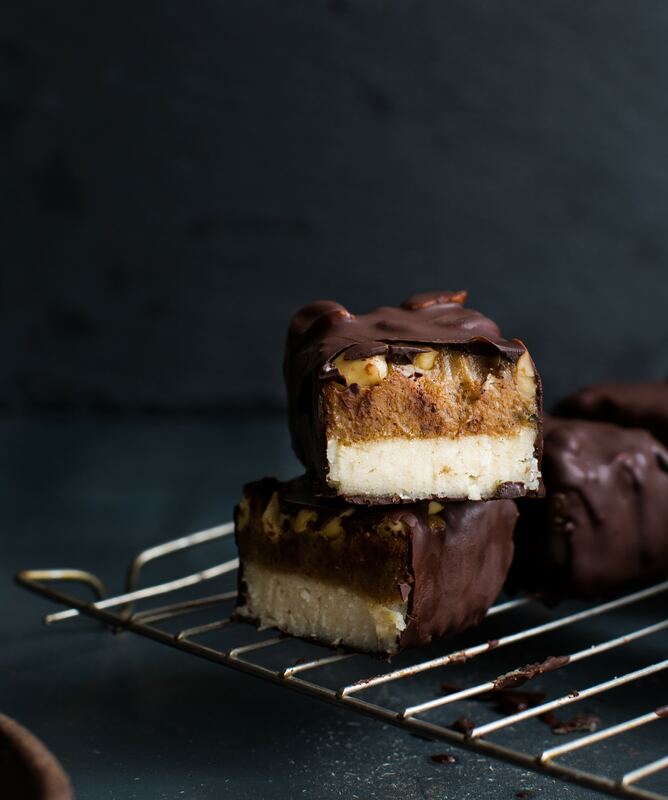 Raw Snickers Bars from 8th and Lake – this raw and vegan recipe looks absolutely delectable, and it’s loaded with deliciously healthy ingredients. You know exactly what’s going into these – no preservatives here! 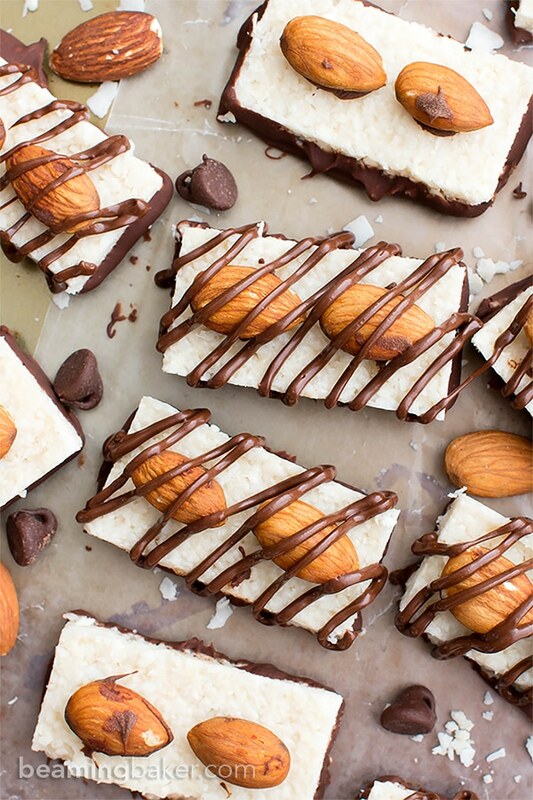 If Snickers are your fave, you’ve gotta try this. 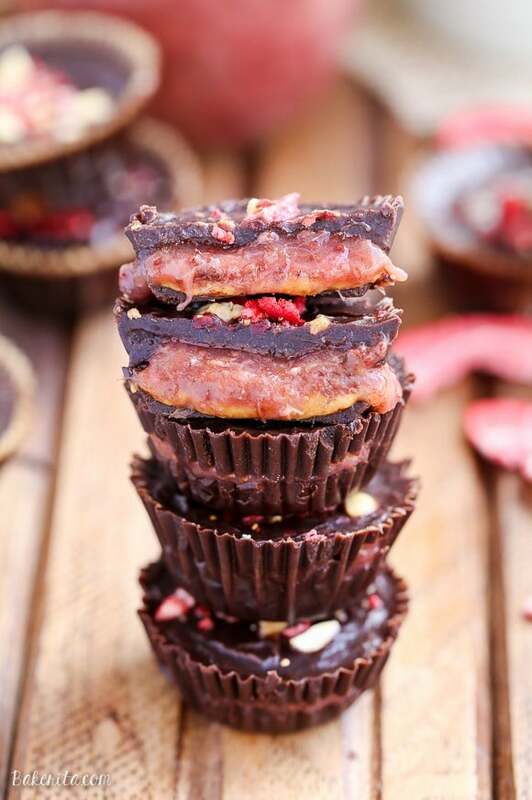 Chocolate Peanut Butter & Jelly Cups – this is a twist on my favorite traditional peanut butter cup by adding a delicious old friend to the mix, jelly! So easy, so delicious, you’ve got to try ’em. 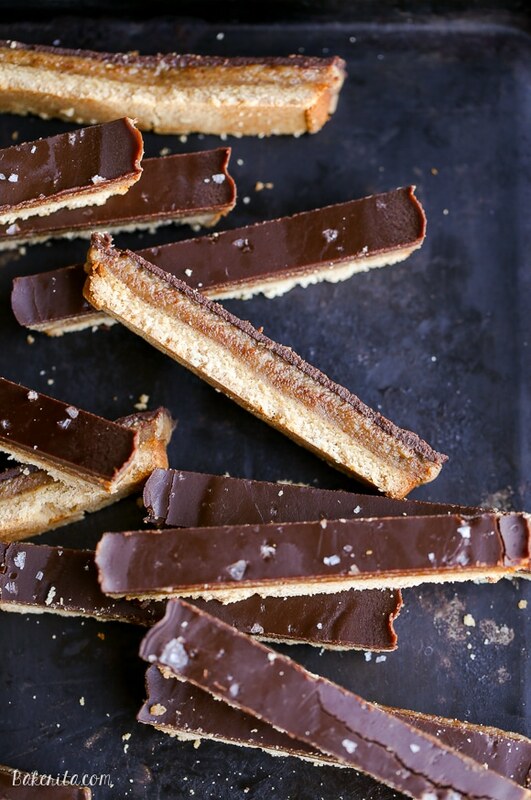 Homemade Kit Kat Bars from Fork & Beans – gimme a break, gimme a break, gimme a break of that Kit Kit Bar!!! Isn’t that just the catchiest tune? You know you just sang it in your head. And I betcha never though they could be made healthier, did ya? Thankfully, the genius Cara over at Fork & Beans did the dirty work and created a genius recipe to duplicate this crunchy candy bars! 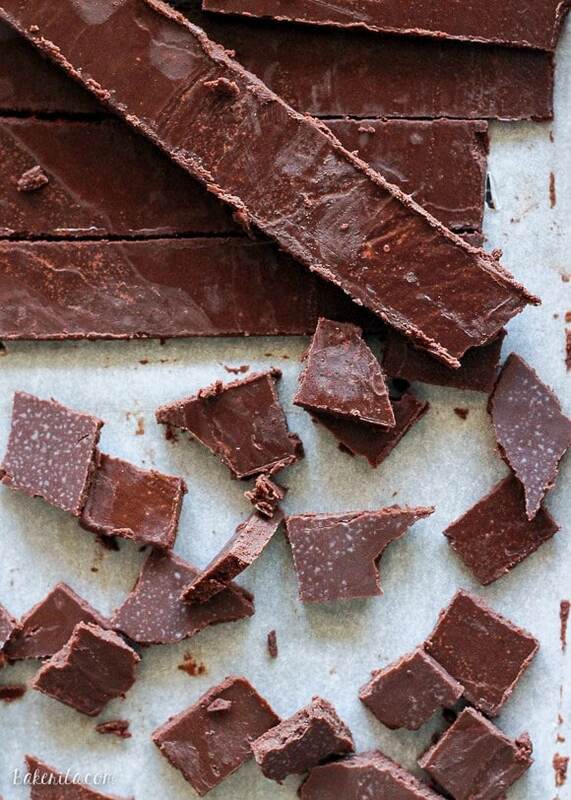 Paleo Chocolate – this recipe is technically for chocolate chunks but pro-tip: get yourself a chocolate bar mold and make your own chocolate bars with this recipe! You can even add your own fun fillings in the chocolate, like nuts and dried fruit. 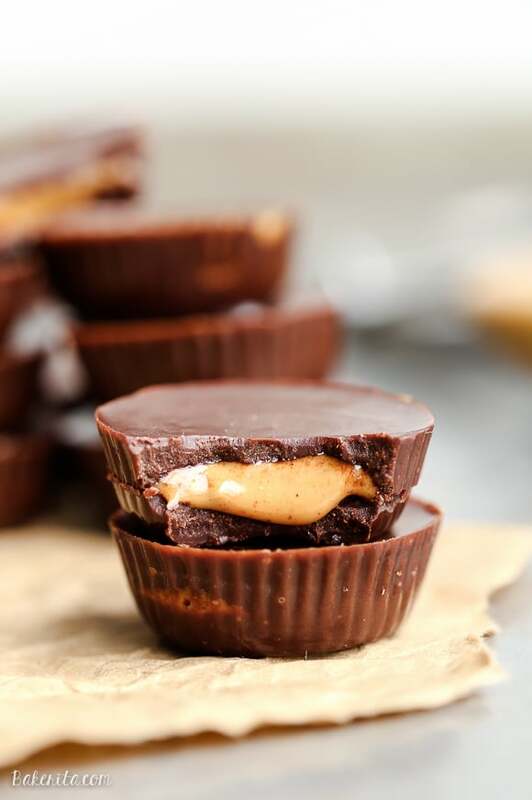 Chocolate Peanut Butter Caramel Cups – I couldn’t resist one last twist on the peanut butter cup! This one has an irresistible peanut butter caramel filling. While you’re making one, why not make all three and have a peanut butter cup party?! 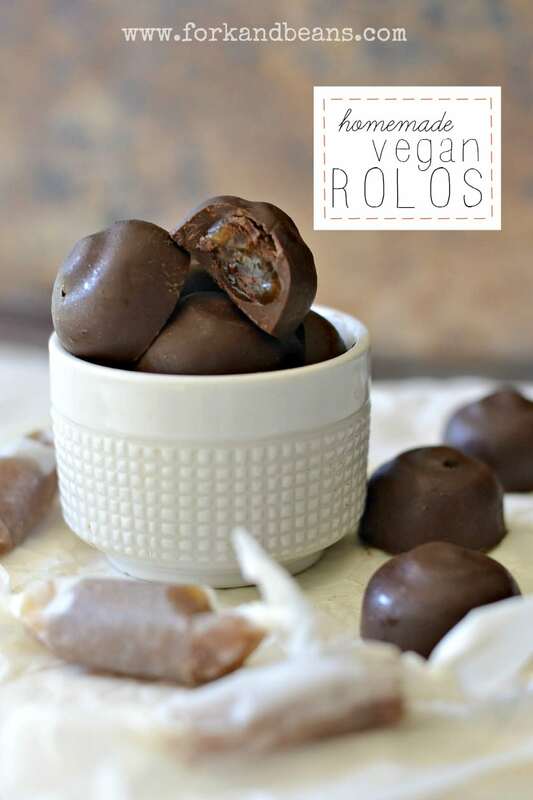 Homemade Vegan Rolos from Fork & Beans – Rolos have always been one of my favorites, with that incredibly delicious caramel filling! This homemade recipe from Fork & Beans let’s you have them way healthier. I will have one of everything! They all look amazing and I love the healthy spin. What a great collection for Halloween, Rachel! I want to try them ALL…especially those twix bars! Looks perfect! Oh this is what I need! Lol. I do love my sweet treats, but now I don’t even have to feel guilty about it! I just did healthier chocolate candy as well! 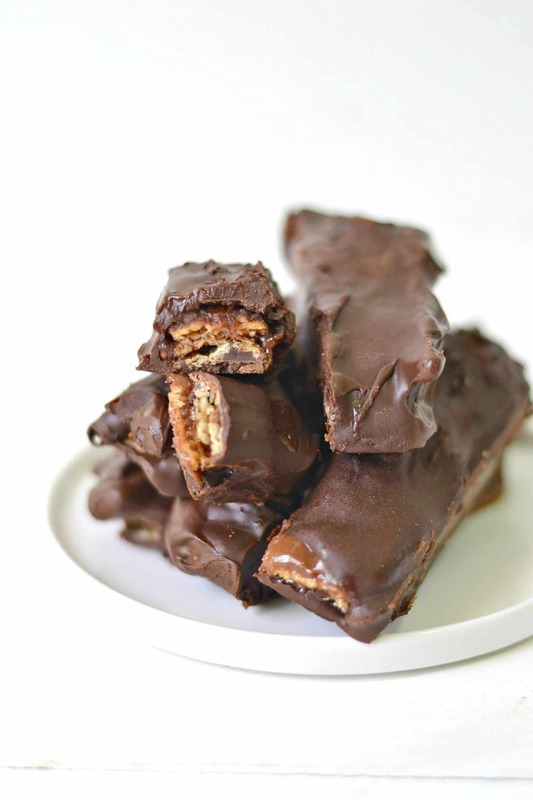 Definitely gotta make your own if you’re trying to stay good on Halloween, because everyone needs at least SOME chocolate today :) Loving your Samoa bars and those paleo Almond Joys! Oooh yours look so delicious, Medha! We definitely all need a little chocolate today ;) thanks so much! Haha! I love that so much, Kenley. Such a cute costume! Honestly, I don’t know which one to try first Rachel! They all look absolutely amazing!